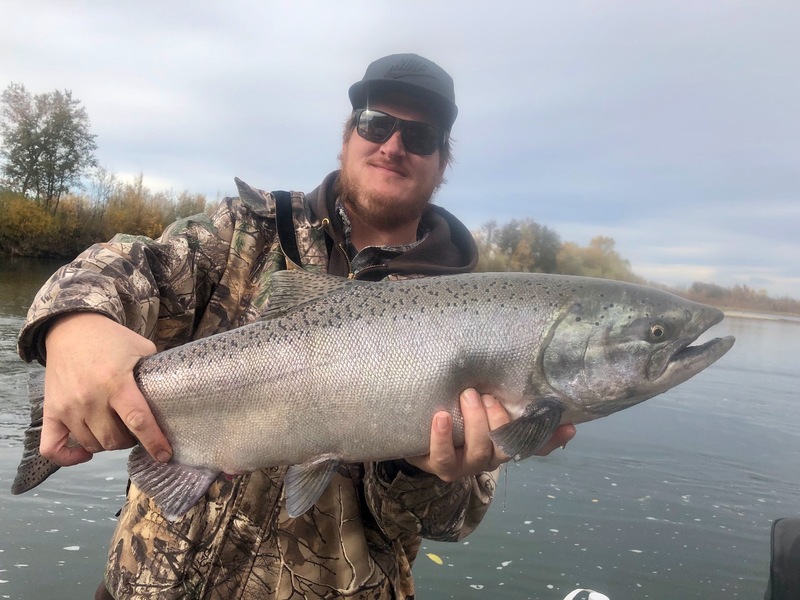 Bright late fall King salmon are in the Sacramento River near Anderson, Ca. and we're getting our clients into fish every trip! 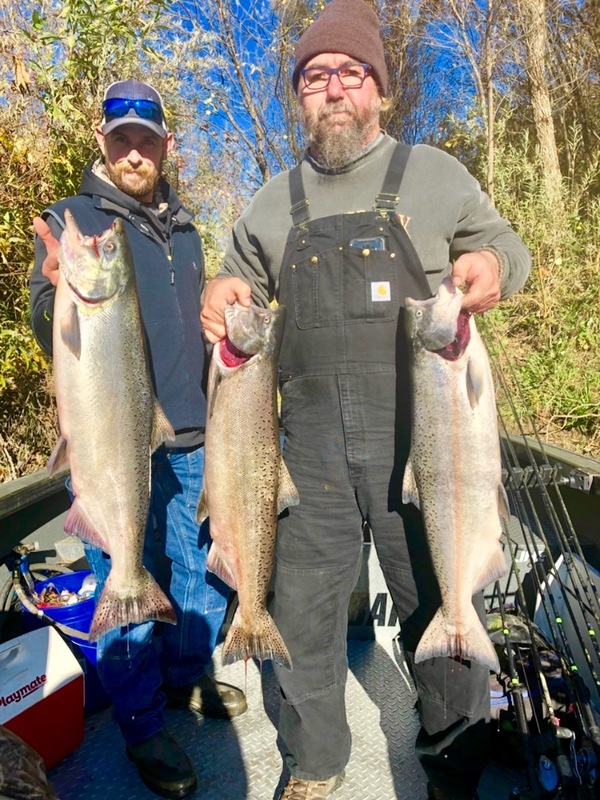 Today was yet another successful day on the Sacramento River fishing for late fall King salmon. Justin Thompson fished a short notice trip for me today, and once again, got everyone on the boat a nice King salmon to take home to enjoy! These Kings are fresh into the river system and most have bright red meat! We're getting more rain tomorrow, but after a small rise and fall the last few weeks of the season should be excellent! 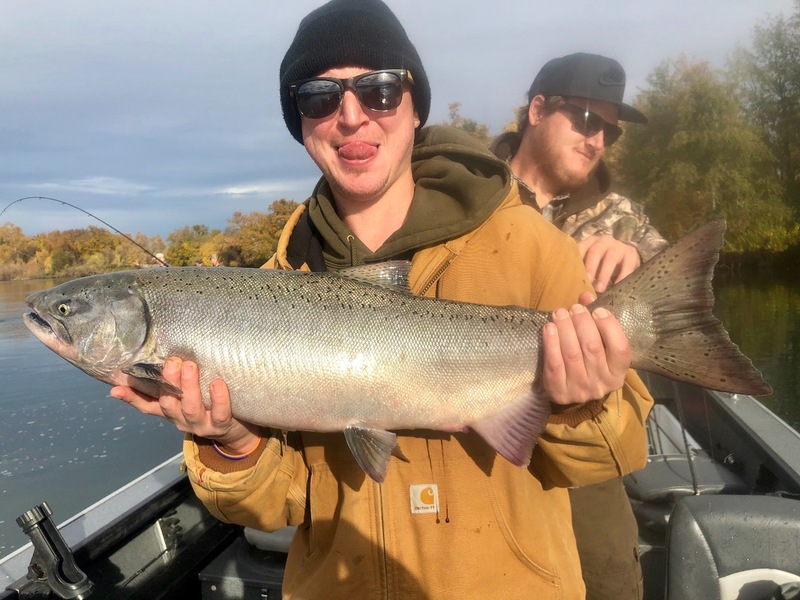 If you want to catch some Sacramento River King salmon like the ones pictured, now is the time to book your trip. Contact me at (707) 616-1905 to get more info or to lock down your final salmon fishing trip of the year! 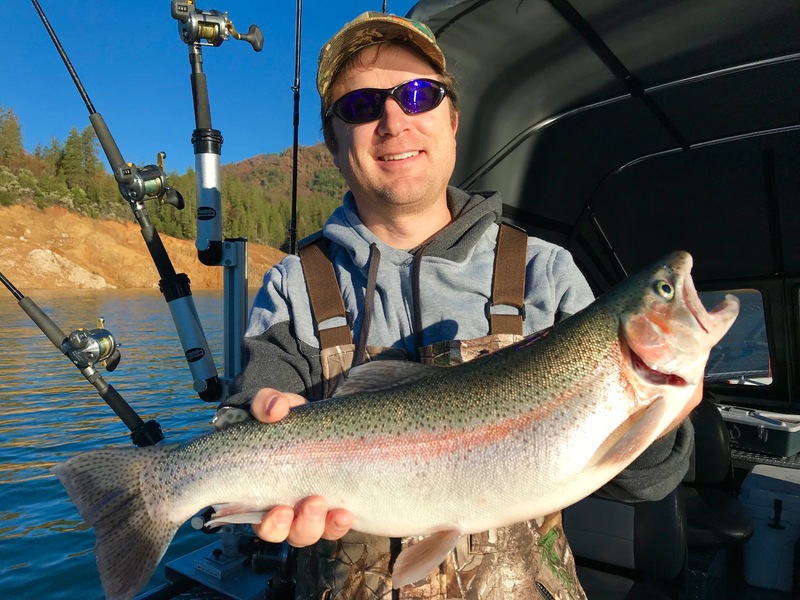 Shasta Lake rainbows linger in the lower lake.